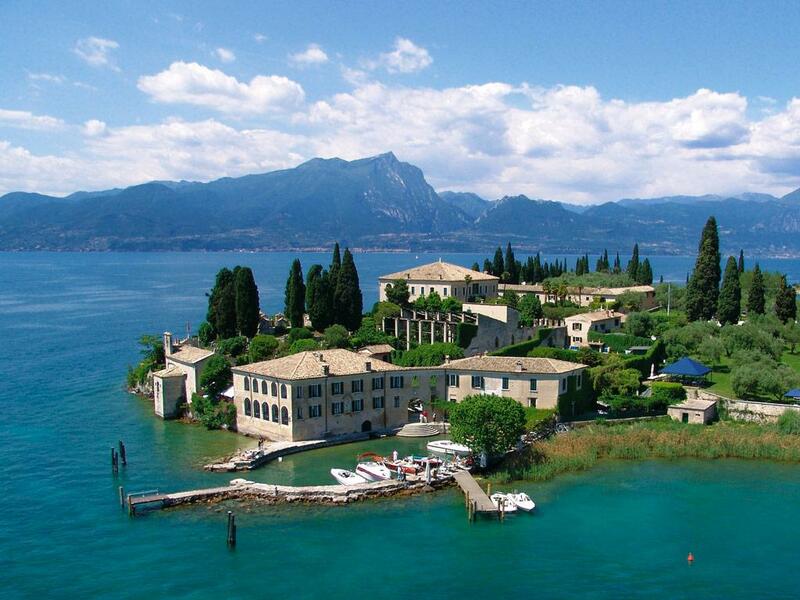 Let yourself be carried away by the countries surrounding Lake Garda. 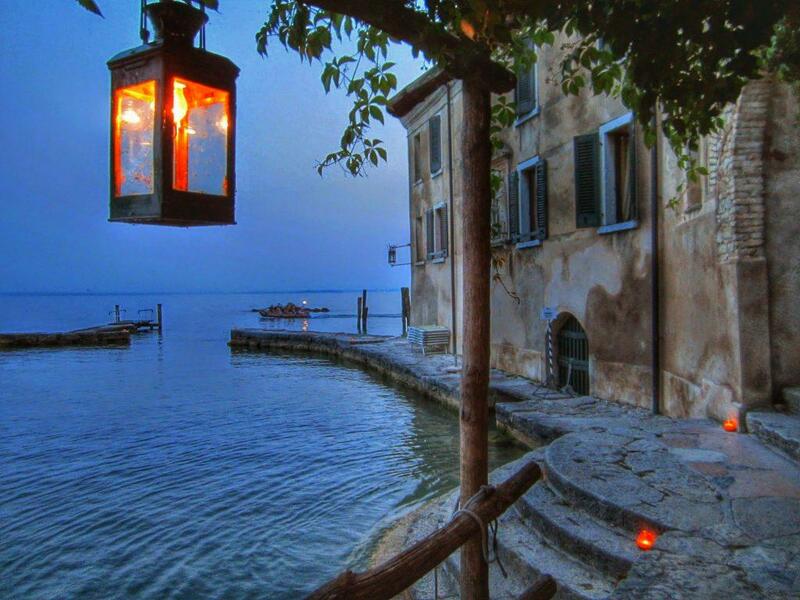 Garda and its poetic Gulf, the delightful old town overlooking the lake promenade, and the fascinating Punta San Vigilio characterize the village. Malcesine will give you an unforgettable day between earth and sky. Visit the Scaliger Castle and the center and then climb Mount Baldo with the cablecar. Limone, a small picturesque town famous for the lemon groves and its olive oil will flood you with scents. 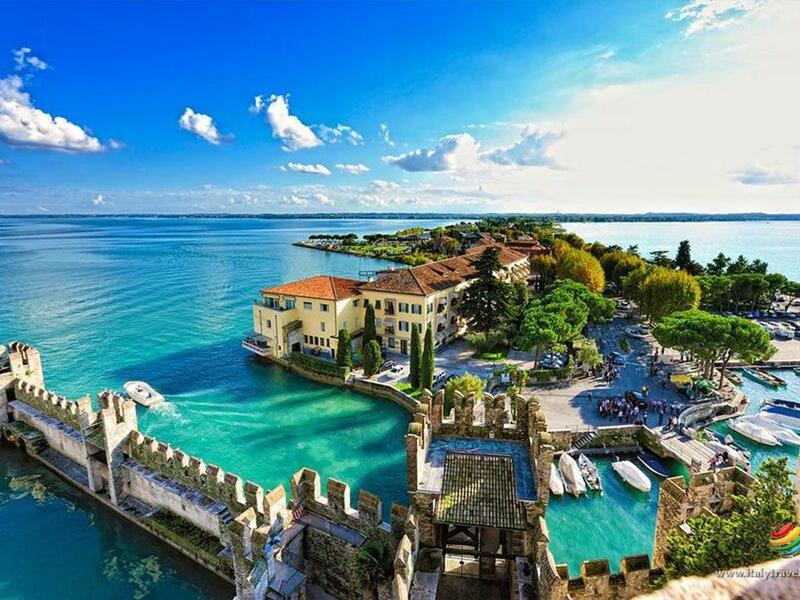 Let yourself be enchanted by Sirmione, a spa town located on a peninsula that extends in the middle of the lake. On the summit are the remains of an ancient Roman villa, the Grotte di Catullo. Riva del Garda, called the "Pearl of the Lake" dominates all the upper Garda and the landscape that surrounds it reminds us that we are not far from the Dolomites of Trentino. The vast and varied territory of the Riviera degli Olivi offers itineraries for all needs and for all levels. Paths that will make you discover natural gems, historic villages that are followed by breathtaking views, castles, inlets, shores, hills and mountains where the imposing and uncontaminated nature is revealed through trails and routes marked in the woods. In collaboration with the Garda Hoteliers Association we offer you itineraries for all tastes. Click on this link for more information and maps to follow. 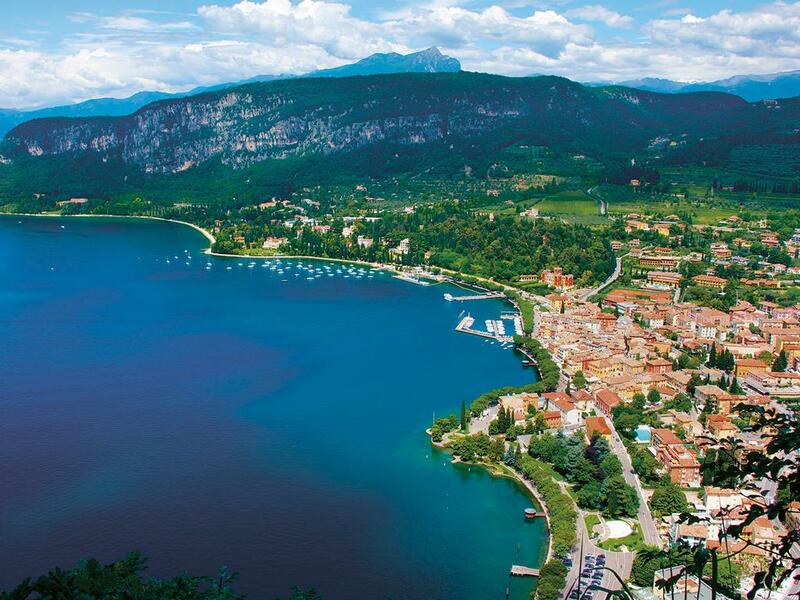 At the reception you can book guided excursions that will lead you to discover not only Lake Garda but also the most beautiful cities in Northern Italy. The most requested are the Lake Tour, Isola del Garda, Verona, Venice, Milan, Florence and the Dolomites. In the proposals are not lacking tours to discover wines and typical products of the territory. Do not miss the chance of one of these unforgettable tours that will enrich your holiday! The golf region of Lake Garda is a unique experience for every fan of this sport. The splendid golf courses of the Garda as well as being designed in a particular and individual way blend harmoniously and unique with the various faces of the territory, whose beauty has always made this region a popular tourist destination. Ask the reception for the agreements that the Golf clubs have reserved for our guests. 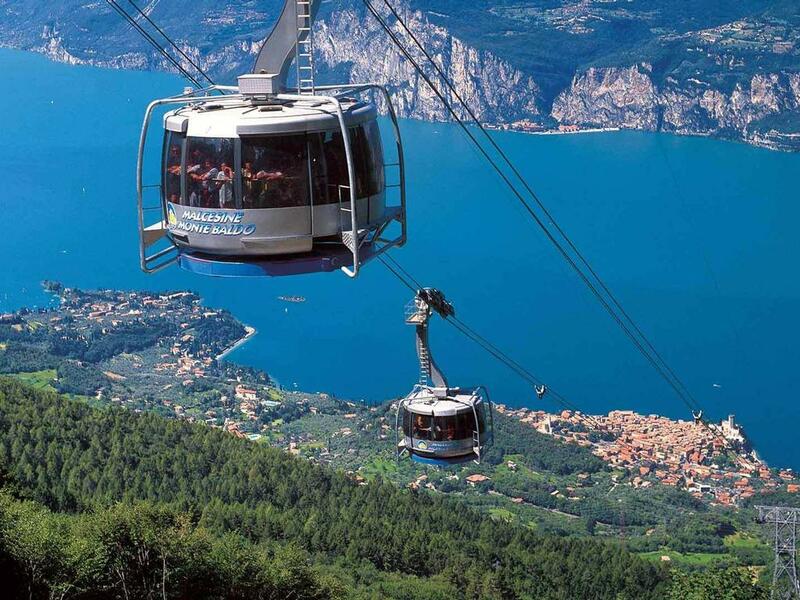 Lake Garda is without a doubt the area in Italy with the highest concentration of amusement parks. Gardaland, Italy's most famous and largest amusement park and its Aquarium are just a 15-minute drive away. Nearby you will also find the large Caneva Water Park and the Movieland park, a theme park with attractions and shows dedicated to the world of cinema. The territory of Benaco offers various solutions for those wishing to know more about the food and wine context linked to the Garda area. In Bardolino there are in fact the Oil Museum and the Wine Museum. Finally, for motor lovers, not far from the Veronese banks of Lake Garda, in Villafranca di Verona, you can find the Nicolis Museum. The Natural Parks are a real system that crowns the lake and offer the opportunity to discover the beauties of nature, relaxing. A 30-minute drive from the Parco Giardino Sigurtà will enchant you with its 60 hectares of immense green fields, the countless flowers, the extraordinary labyrinth and small lakes. On the Bresciana del Lago bank, in Gardone, is the Heller Garden, a sumptuous early 20th-century garden of Eden with plants from around the world, Buddha sculptures and bridges. The Parco Natura Viva, finally, is an important center of protection for endangered species and offers various routes including the Wildlife Park, the Extinction Park and the Zoo Safari to travel by car; ideal for adults and children even in bad weather. The Arena of Verona is an amphitheater of Roman origins, symbol of the city of Verona. Architecture is characterized by power, simplicity and functionality. Every summer it hosts concerts of classical and lyrical music. One of the most important events is undoubtedly the Aryan Opera Festival, inaugurated over one hundred years ago, in 1913. In honor of the centenary of the birth of the famous Italian composer Giuseppe Verdi, the first opera represented was Aida. Verdi's Aida is undoubtedly the most represented work: since 2005 it has been decided to represent it every year, although it has nevertheless been performed in all seasons since 1992. The Arenian lyric festival is an important event , every year, to attract thousands of admirers and lovers of opera music to the city. At the reception you can buy tickets for the various shows.